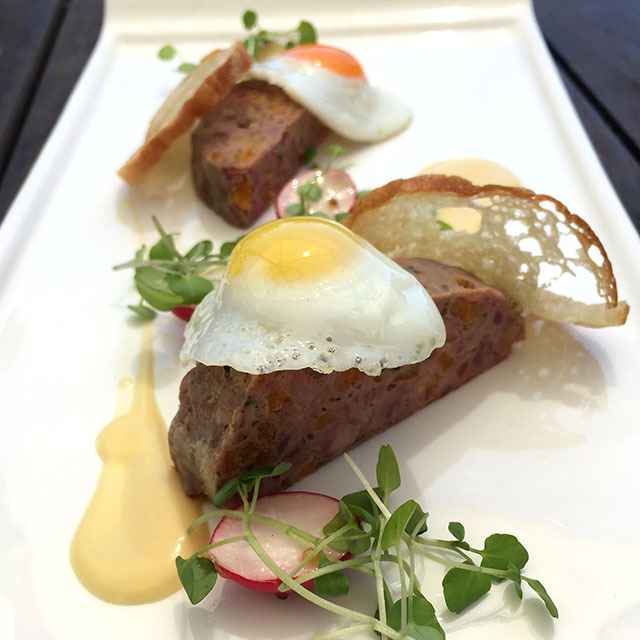 If you’re looking for somewhere lovely to eat in Truro, you might easily miss The Alverton. Set up above the city centre on Tregolls Road, it’s not visible from the main road, tucked away behind high walls. 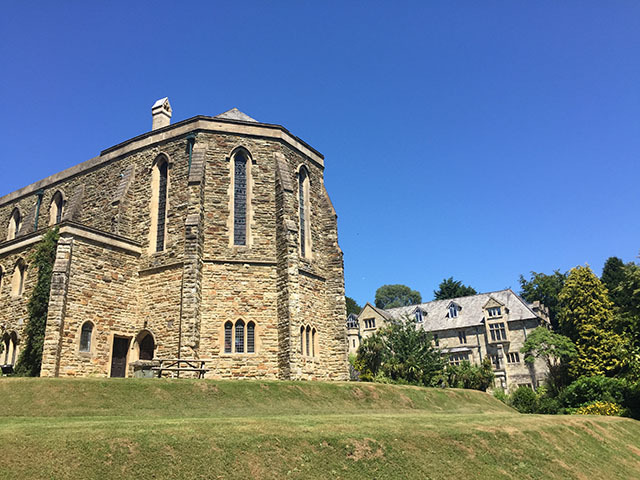 The grade II listed building was once a convent for the Sisters of the Epiphany order, and former home to the President of the Royal Horticultural Society, William Tweedy, hence the beautiful grounds. All around are pretty leaded windows, arched doorways, ivy-clad walls and hidden corners where you can sit and enjoy the peaceful, tranquil gardens. The hotel has a brasserie which offers two AA rosette food to both hotel residents and guests. 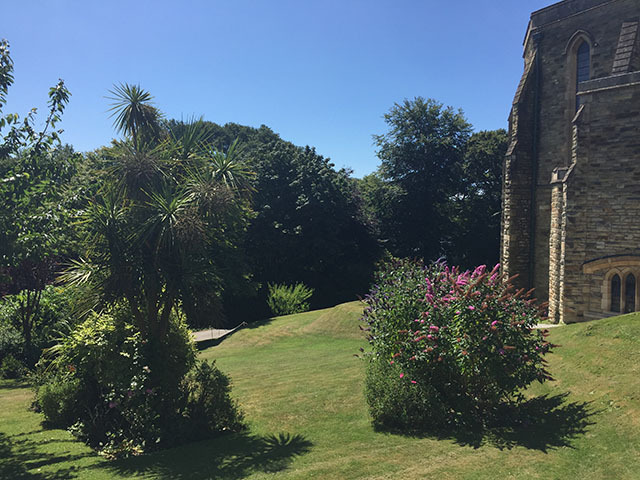 As well as being within easy walking distance of the centre of Truro, even better, you can park right outside in the private car park. The weather was glorious when we visited for a mid-week lunch, and we chose to sit in the garden, under a parasol and a deep blue sky. 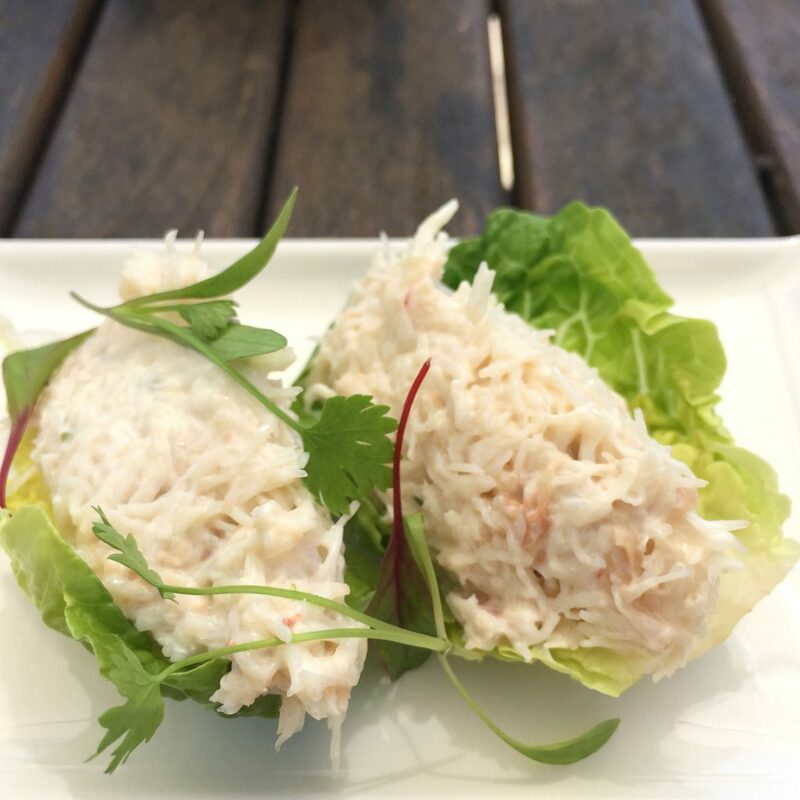 The appetiser of Cornish crab and chive mayonnaise in a baby gem leaf sounded too good not to try. It was very simple, but the crab was super-fresh, and it made for a few gorgeous mouthfuls, along with a nicely chilled, crisp, dry white. The starters were beautifully presented. The pork and apricot terrine with fried quail’s eggs was delicious, and I really enjoyed the plump, seared scallops (pictured below). 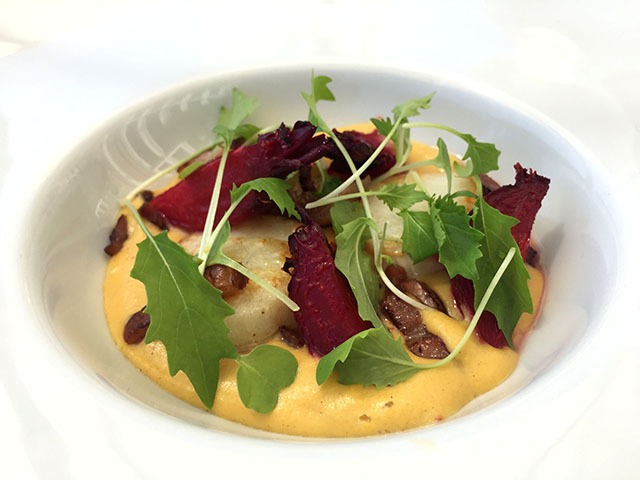 They were served on a sweetcorn purée, with crispy pancetta and beetroot; the sweet and salty flavours, and variety of textures, worked very well. For my main course, I opted for the Cornish crab linguini from the “Classics” menu. 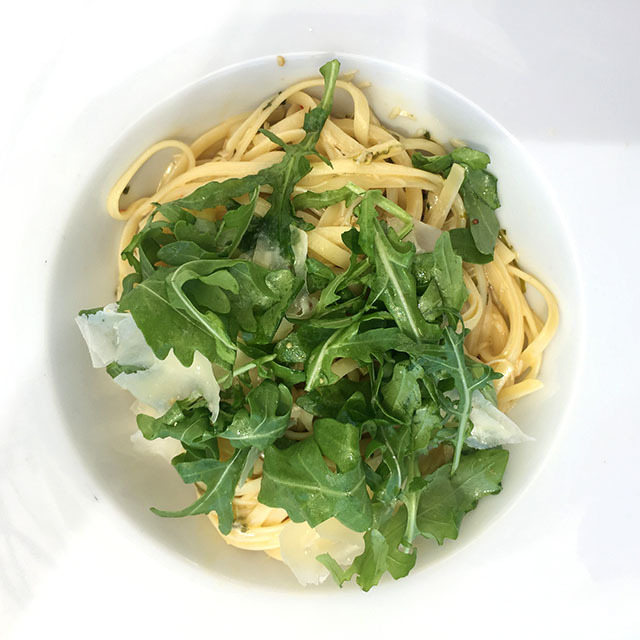 I wasn’t convinced the combination of flavours was going to work – chilli, ginger and coriander, along with a white wine and cream sauce, and then wild rocket and parmesan – but I was pleasantly surprised. There was a generous amount of crab, a lovely depth of flavour, and it was a huge portion. From the summer menu, the hake was outstanding. 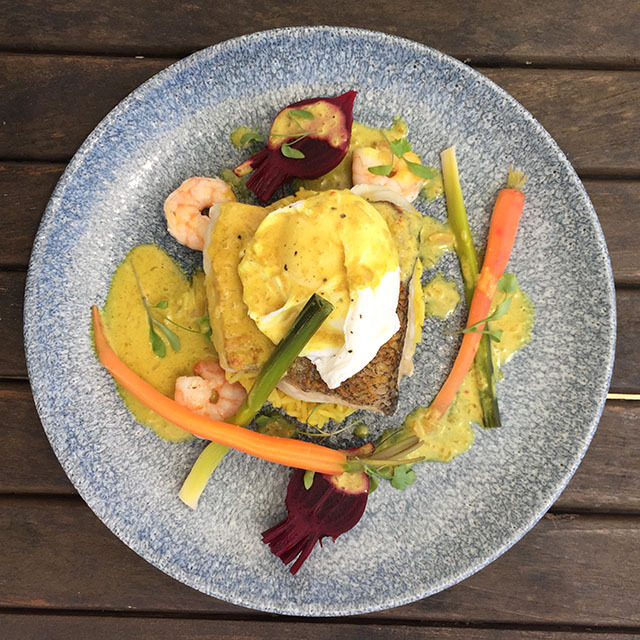 The perfectly cooked piece of fish sat on smoked haddock kedgeree, with a poached egg and coconut curry cream on top. We felt the prawns were unncessary, but the dish was a delight, really savoury and moreish. Other options on the menu included char-grilled steaks, bouillabaisse, braised ox cheek ravioli, burgers and salads, and a range of ciabatta sandwiches. Again, we were delighted with how pretty the desserts were. 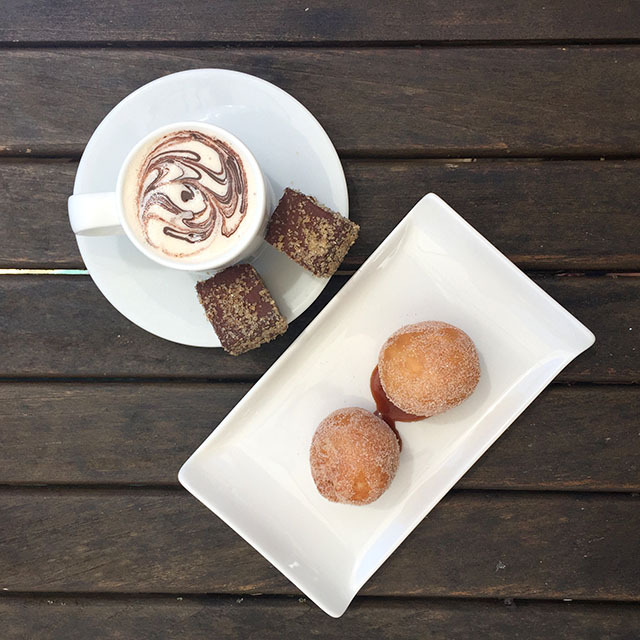 The “coffee and doughnuts” – coffee brûlée, ganache and caramel doughnuts – was very sweet, but great fun. After a big meal, this would be perfect for two people to share. 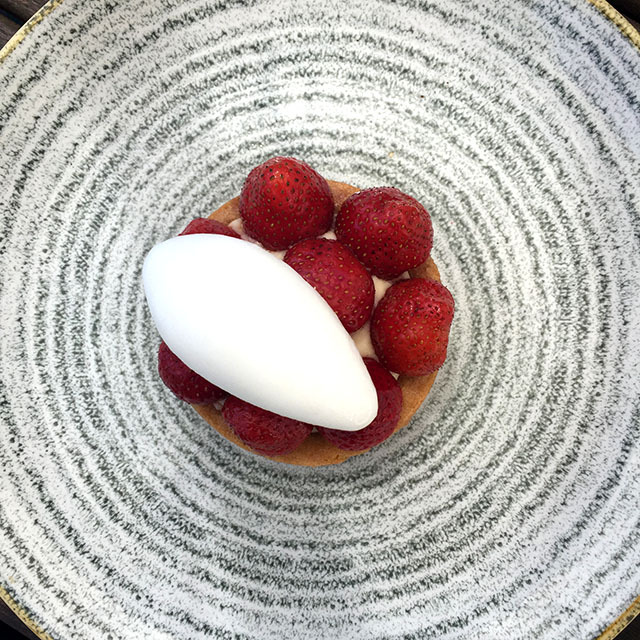 The strawberry tart base was actually a freshly baked and warm almond cake, and along with the strawberries and the lemon and elderflower sorbet on top, was gorgeous. All in all, this was a really good lunch, surprisingly elegant food and gorgeous surroundings. 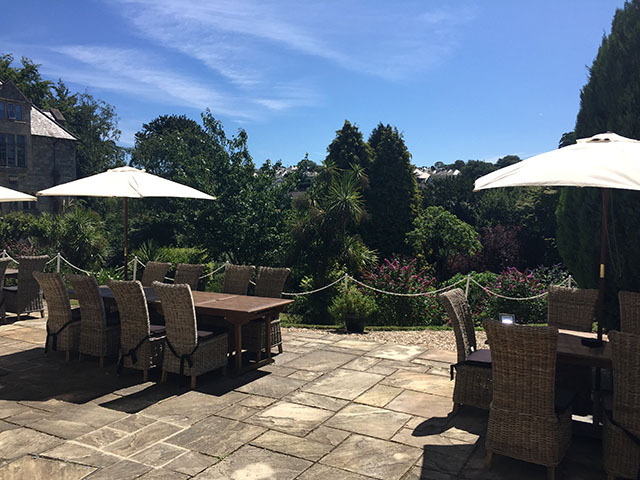 The Alverton is a perfect place to lunch if you’ve a couple of hours to spare between appointments, in one of the most relaxed and peaceful spots in Truro city centre. Price-wise, if you’re eating à la carte, expect to pay around £30 per person for three courses. We were lucky enough to go when there was a special offer of free dessert when you bought two courses. Currently there’s a Sunday lunch offer, with two courses for £16 and three courses for £20. Keep an eye on their Facebook page for more offers. The hotel’s brasserie is open for lunch, afternoon tea and dinner and is open to both hotel residents and guests. 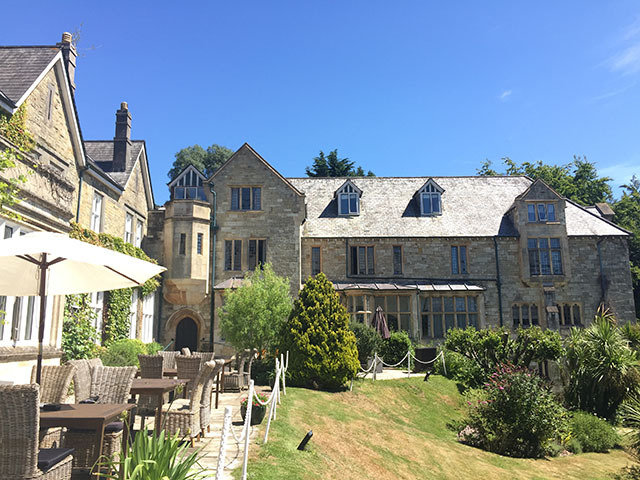 For more information about The Alverton, or to make a reservation in the hotel or restaurant, visit thealverton.co.uk or phone 01872 276633.